We have a number of different kinds of product available for custom orders -- listed below on this page -- with a few items also pictured. 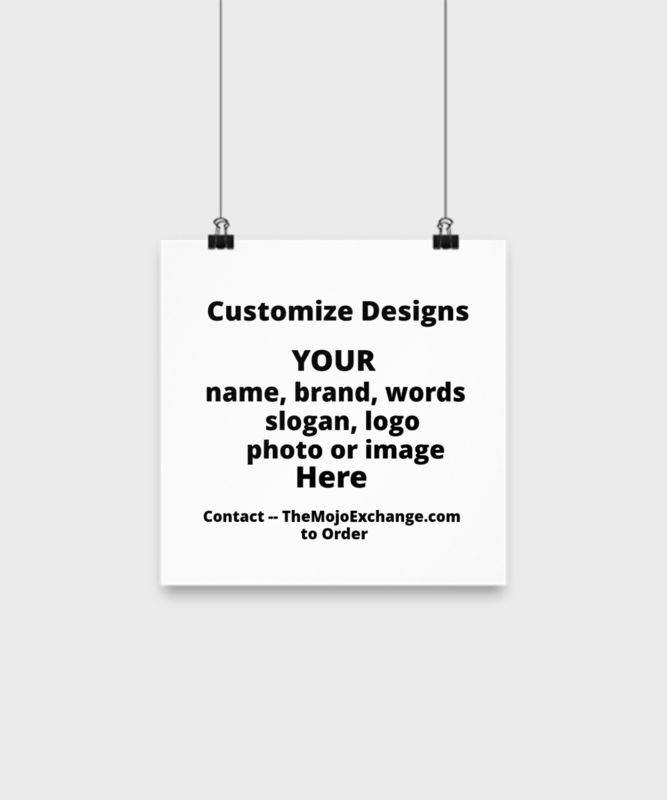 This customized service is provided to brands, groups, business owners, others, who have a significant following of persons who want products at home that remind them of YOU, your message, your words. These products are printed ON DEMAND, when the customer purchases. Bulk orders are NOT required to create this merchandise. It is beautifully simple for brands and groups! 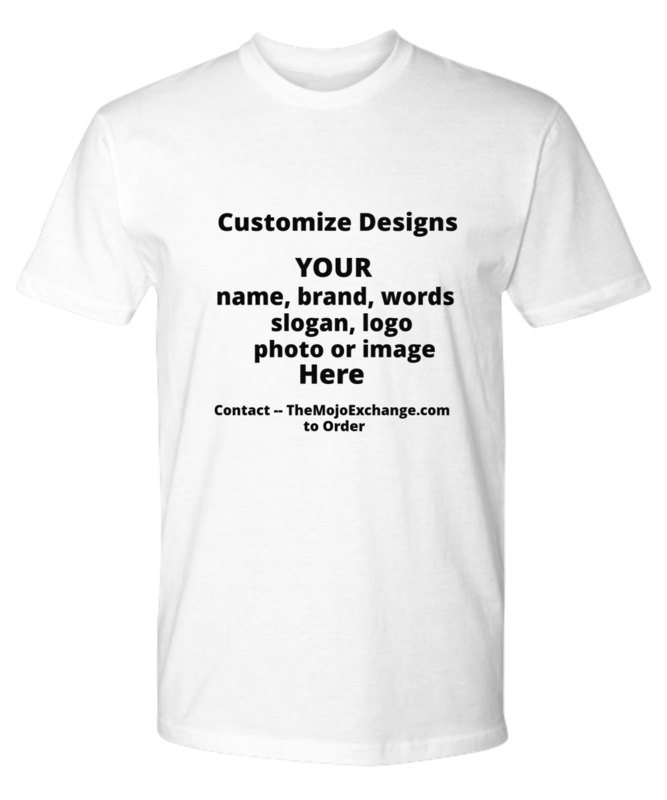 To start, we work with your guidance to establish the product line you want to have made available on your behalf -- then -- we set-up the design work with your branding, words, logo, phrases, slogan, colors, photos, etc., for the exact imagery that will be printed on products made for your customers. THEN... the products are made available for online purchase. You then share the link we provide with your audience -- and your customers, friends, followers, fans, and others are able to immediately purchase DIRECTLY ONLINE -- one item at a time or more, whatever product they want. All items are mailed directly to the customer. There is nothing more for you to do. We and our vendors produce/print the products, fulfill the orders, and ship purchases directly to the customer. It's all done. So, very simply, with your input, we establish the "set up" -- then the products are made ready for sale online with a link you are encouraged to share with your audience so they can make purchases directly with no further involvement by you or your team. 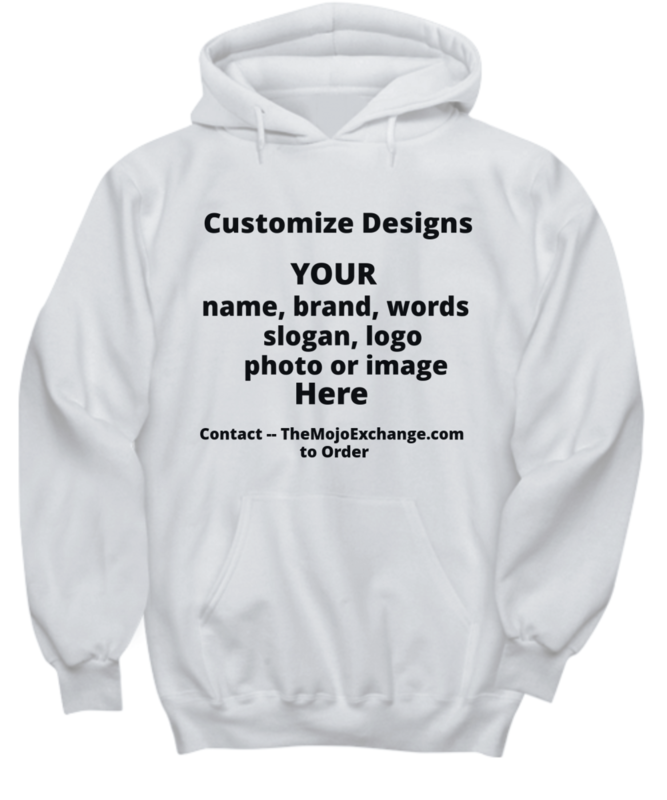 Below is a list of readily available merchandise options that we can produce for you. ALSO, when we talk with you, depending on your business and your desires, we may have additional *other* products that can be made available, plus there are new options showing up in our vendors' menu, so its good to ASK, if you have a specific desired option. ​Printing is Full Color -- Not just black and white!